There are so many ways to donate. Your financial support creates very real possibilities for those we serve through our sport. For example it means young women are able to get to practice so they can scull for their team. It means we can invest in a quadruple sculling boat we so much need for our veterans and general population with disabilities. Your gift also gives us the feeling and knowledge that our community recognizes what we are trying to do for the people of Stockton and the Central Valley -- and that has intangible value to us. It buoys us up and keeps us firm in our dedication to serve. We invite you to take a look at our upcoming events for chances to participate in our annual giving. We have adaptive equipment to meet many conditions. OarBusters - uses adaptive equipment to help athletes with physical/sensory/cognitive and emotional challenges get on the water. We provide access to our beautiful Delta waterways for EveryBODY. Freedom Rows - one of only 25 military veterans program in the country. Our Freedom Rows program is considered a premier example of helping disabled and able-bodied veterans with PTSD, TBI and combat-related issues. Girls Row Stockton - this new program introduces rowing to middle and high school female athletes, especially those from under-served areas of our community. ​Delta Sculling Center is highly respected in the rowing community and is seen as a role model in bringing diversity and inclusion to our sport. This is due to hard hands-on commitment of 13 volunteers working with OarBusters, Freedom Rows and Girls Row Stockton athletes. Its boathouse doors are open to everyone from first-timers to seasoned master scullers. If you would like to donate to a specific program, please indicate that program in the "Special Instructions to the Seller" line. 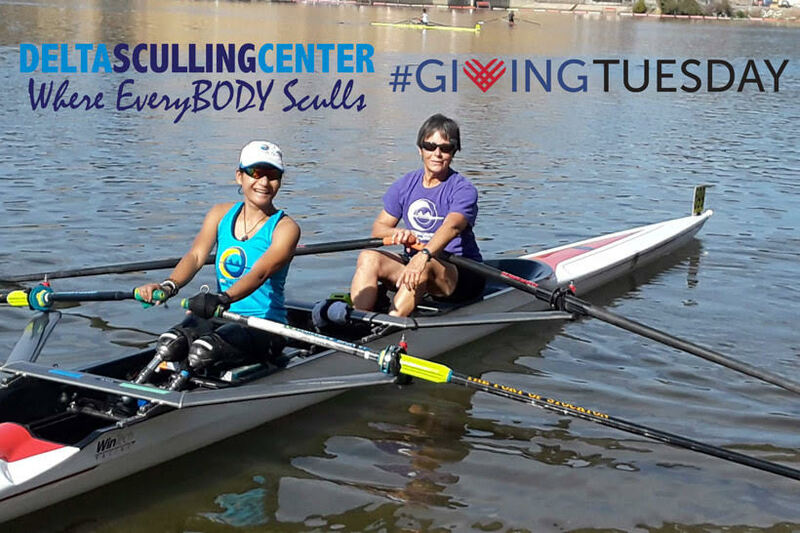 ​Thank you for your support of Delta Sculling Center! Help us bring more opportunities for sculling to EveryBODY!